The conflict between Hungary and Slovakia over the Gabcikovo-Nagymaros dam system on the Danube is a potentially explosive threat to regional stability along this key economic artery between the North Sea and the Black Sea. 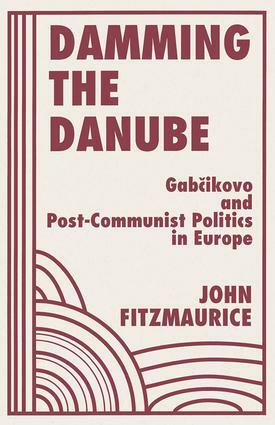 Emblematic of the difficulties in establishing a post-communist regional order, this bitter battle between material economic values and post-materialist environmental and cultural values threatens to resurrect nationalist resentments buried by forty years of communism.Based on a wealth of primary research, this balanced book considers the broad political, economic, social, legal, and environmental implications of the dam project?not just for Hungary and Slovakia, but for Europe as a whole. Viewing the controversy from the contending perspectives of all the key players, the author explores the role of outside mediation efforts and the resulting implications for regional security and cooperation.